Shanyshkyly Berdykozha batyr, who led the armed force of Great juz in the war against Dzungars, according to description of well-known Kazakh folklore specialist Mashhur Zhussip Kopeev, was “one of the best known and trusted warriors of Abylay khan”. The folklore materials also suggest that “Abylay Khan did not hold any meeting and do not participate in any battle without Berdykozha batyr”. Talented commander, brave hero, skilful diplomat Berdykozha batyr always won in combat with enemies. Leading the armed force of the Great juz and together with the famous commander Kabanbay batyr, Berdykozha batyr participated in many battles nearby Bulanty, Bileuty, Itishpes, Anyrakay, Talky, Eby, Alakol, Ulansu, Mamyrsu, Shar and Shorga. His heroic deeds became the basis of the creation of many historical epics, and the poem “Berdykozha batyr” came up to contemporary reader. After the victory over Dzungars, Berdykozha batyr effectively ran his lands. He participated in numerous negotiations with the Russian and the Chinese empires’ representatives. His name is often mentioned in the chronicles and archival materials of these countries. Berdykozha batyr actively contributed the adjustment of the Kazakh-Kyrgyz border disputes and conflicts. His heroic deeds are marked in the “Kyrgyz Chronicle.” Despite the prone years, showing the miracles of bravery and courage, he was killed by his enemies. 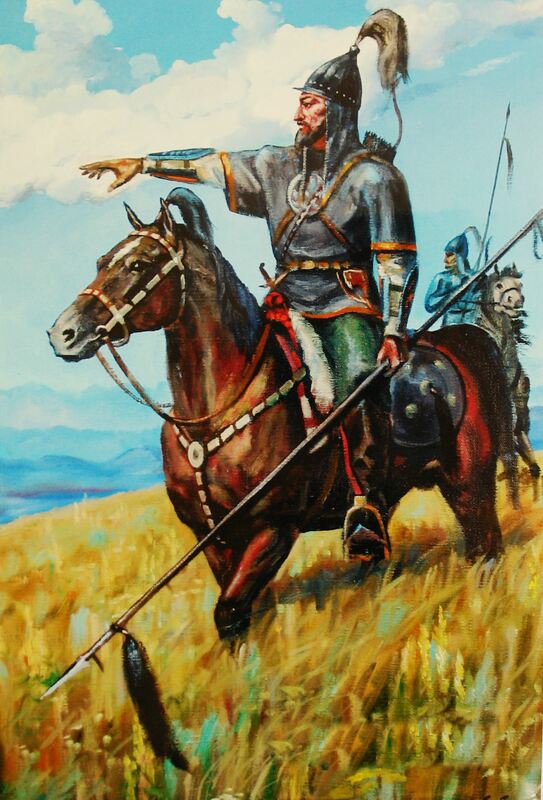 Berdykozha batyr – a support and protector of the Kazakh people, was buried by his contemporaries with full military honours and by erecting over his grave the majestic mausoleum on Karkaraly land between the mountains of Kokshetau and Duane, in the upperriverofDagandaly. After the establishment of independent Kazakhstanthe heritage of Shanyshkyly Berdykozha batyr was reborn. The memoir of the well-known writer Mukhtar Magauin was published, the name of Berdykozha batyr has become a subject of K. Zhumadilov’s and A. Seydimbek’s research. Under the supervision of Professor and Academician B. Kassymbekov considerable work has been done in order to revitalize the heritage of Berdykozha batyr. The exterior of Berdykozha batyr was renovated, anthropological, archaeological and folklore studies were organized. The materials about the great commander in Kazakh, Chinese, Russian, Uzbek languages were collected, and previously unpublished archival documents have been actively used in the scientific community. Significant and fundamental articles about the life and activities of Berdykozha batyr were published in the newspapers “Egemen Kazakhstan” and “Kazakhstanskaya Pravda”. The separate collection of articles dedicated to Berdykozha batyr was issued. The poem “Berdykozha batyr” of well-known poet N. Aytuly was published.